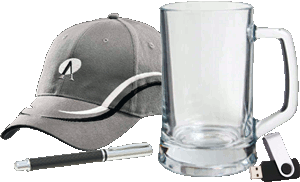 There are 23 listings available, you are viewing 1—20. 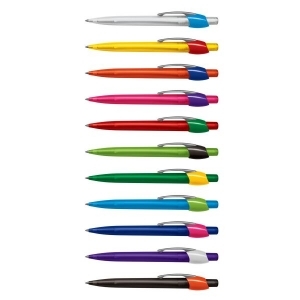 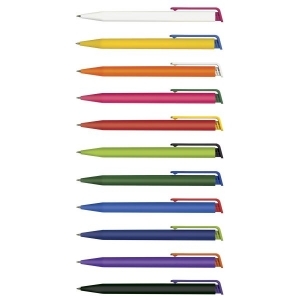 Retractable plastic ball pen that can be Mixed and Matched in 121 colour combinations. 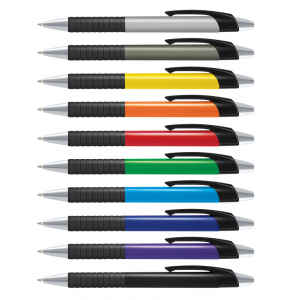 Retractable plastic and metal ball pen with double injected soft rubber inserts in the grip zone. 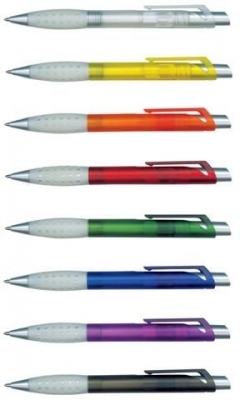 Retractable plastic ball pen with a high quality satin chrome metal clip and frosted translucent barrel. 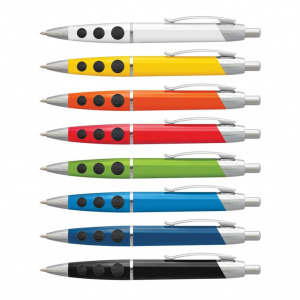 Retractable plastic ball pen with a high quality satin chrome metal clip and solid barrel. 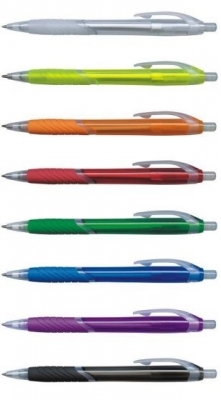 Retractable plastic and metal ball pen with a double injected barrel. 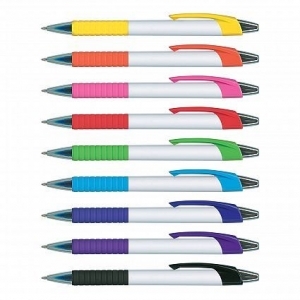 Retractable plastic ball pen with a frosted trnaslucent barrel and very large branding areas. 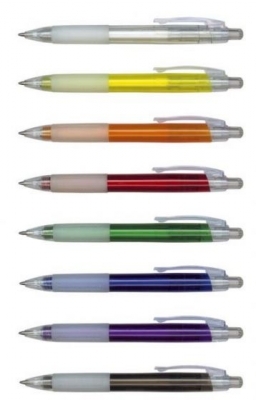 Retractable plastic ball pen with a translucent barrel and soft rubber grip. 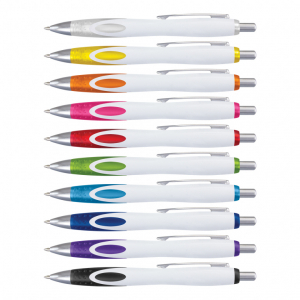 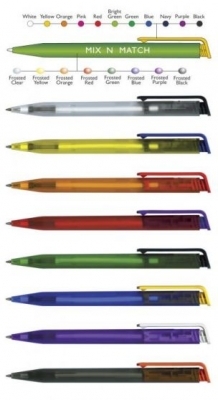 Retractable plastic and metal ball pen with a transluscent barrel and soft touch rubber lacquered grip. 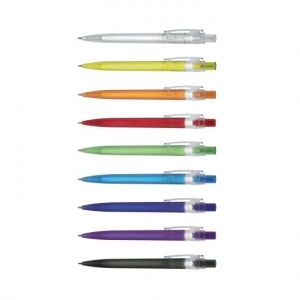 Retractable plastic ball pen with a frosted translucent barrel and soft rubber grip. 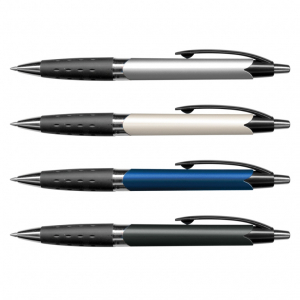 Retractable plastic and metal ball pen with a metallic barrel and a soft rubber grip.